From little eateries with red tablecloths and white napkins that serve meatballs and spaghetti to contemporary Italian restaurants that offer modern takes on traditional cuisine, Miami has a place for every taste. 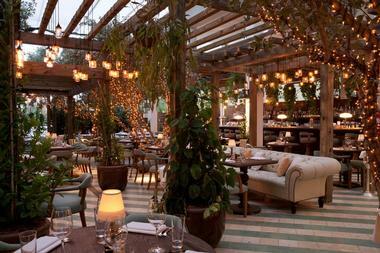 Based in the courtyard of Soho Beach House, Cecconi's is a contemporary classic Italian restaurant that serves hand-made pasta, seafood, and dishes from Italy using the finest locally sourced and imported ingredients. Open for brunch, lunch, cicchetti, and dinner 7 days a week, Cecconi's features a lovely setting in which to dine, with an overhead pergola filled with hanging plants and twinkling light-wrapped tree trunks. A small interior lounge caters for indoor diners and a sleek bar serves Cicchetti (Italian tapas) and a selection of handcrafted cocktails and other libations. Signature dishes on the menu include tender chilled vitello tonnato with a creamy tuna and caper sauce, goat cheese pizza with black truffles, and Maine lobster spaghetti with saffron and basil. 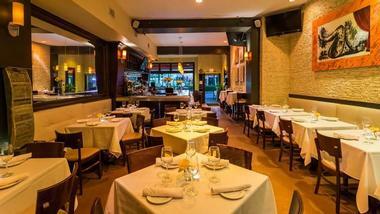 Cecconi's also has outposts in West Hollywood, Berlin, and Istanbul. 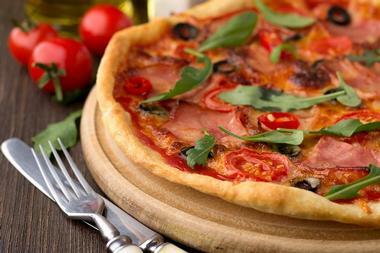 CRUST is a casual Italian restaurant that specializes in gourmet pizzas and modern regional dishes. Run by acclaimed chef/owner Klime Kovaceski and his wife Anita, CRUST Restaurant offers a unique dining experience in a standalone art deco building near the Miami River. Retaining the original charm of the former 1950s building, the eatery boasts stunning interiors with a lofty 14-foot ceiling, elegant geometric lines, and majestic columns. A 10-seater bar serves an extensive list of fine wines, handcrafted cocktails, spirits, and other drinks, while the stylish dining room, which seats 65 guests, exudes a laidback, casual ambiance in which to savor tantalizing gourmet pizzas and classic Italian dishes. 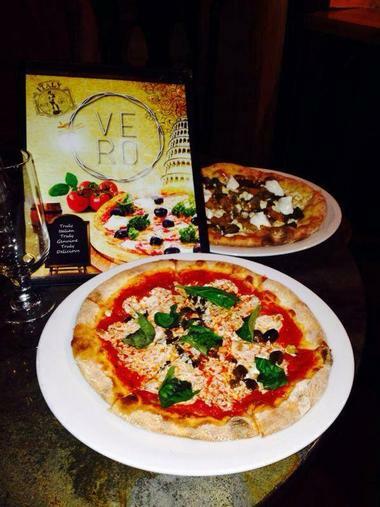 Signature pizzas on the menu include the Mediterranean Pizza with Kalamata olives, feta cheese, and eggplant, and the Truffled Pizza with truffle oil, parmesan, and arugula. Bringing traditional Italian fare from the heart of Milano to the center of Miami, Ristorante Fratelli Milano offers a genuine taste of Italy. Owned and managed by twin brother Chefs Roberto and Emanuele Bearzi, this family-owned and operated restaurant serves lunch and dinner menus of refined Northern Italian cooking served in an elegant dining space with a beautiful waterfront terrace. Although an oasis in a gritty part of town, Ristorante Fratelli Milano offers delicious house-made pasta and pizzas, artisanal bread, ocean-fresh seafood, and a mouthwatering list of daily specials. Don't miss the to-die-for desserts, which include treats like Chef Emanuele's bombolone: Nutella or cream-filled Italian doughnuts that will not disappoint. 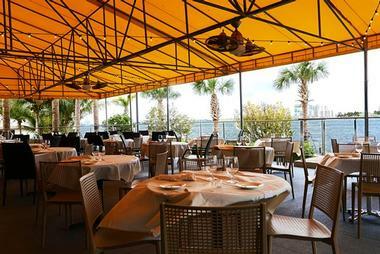 This high-end downtown Italian eatery combines excellent Italian cuisine in an elegant setting with spectacular views of the Miami River and Biscayne Bay to present a unique dining experience. The menu rises to the occasion with complimentary focaccia and a selection of fresh cheeses and charcuterie on arrival, followed by mouthwatering signature dishes such as risotto ai frutti di mare, filetto farcito (tender filet with foie gras), and Champagne escalope of veal sautéed in a delicious Champagne cream served with fresh julienne vegetables. Desserts cater to both a sweet and savory tooth and include zabaglione, Italian cheesecake, and Positano oranges. Wedged onto Washington Ave between Fourth and Fifth Streets, La Locanda is a tiny hole-in-the-wall Italian restaurant that serves an extensive menu of traditional Italian cuisine for lunch and dinner. Owned and operated by Francesco Cavalletti and Massimo Fortunato, their cozy 'little bambino' comfortably seats up to 60 guests, who tuck into delicious dishes such as ravioli stuffed with spinach and cheese in a light pink sauce, linguini with clams, veal scaloppini of the day, and a variety of gourmet pizzas. Desserts include Italian cheesecake, creme caramel, and homemade panna cotta, while an extensive list of fine wines is available to pair with the delicious fare. Macchialina is a tiny Alton Road eatery owned by former Scarpetta chef Michael Pirolo, who makes every guest feel right at home on arrival. The popular restaurant serves a creative menu of the freshest house-made pasta, the richest red sauces, hearty meat and chicken dishes, and decadent desserts, along with an inventive cocktail list. Pasta, risotto, and gnocchi are all made by hand by the chef himself; the house lasagna puts nonna's to shame, and nobody should leave without trying signature dishes like the Mediterranean octopus with concentrated tomato and potato cream or the beet mezzaluna crowned with hazelnuts, brown butter, and ricotta salata. Libations include handcrafted cocktails and boutique wines from Italian producers. Named after renowned Chef Dena Marino and her business-savvy partner, Brandy Coletta, MC Kitchen is a definitive Miamian-Italian eatery that features a contemporary dining room, an open kitchen, and a public bar that flows out of the restaurant and into the hallway. 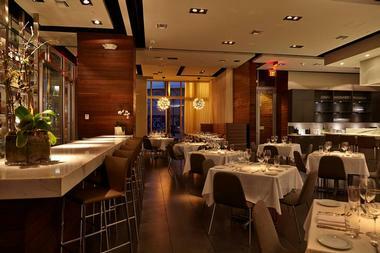 The casually sophisticated 145-seater restaurant offers a seasonally changing menu of delectable fare such as artichoke bruschetta topped with a barely poached egg, whipped squash-filled burrata, pumpkin tortelloni with rabbit ragout, and braised Florida grouper adorned with Calabrese sausage, gems of broccoli rabe, and white clams. The impressive wine list boasts over 450 labels, ranging from small boutique wineries to global vintages. 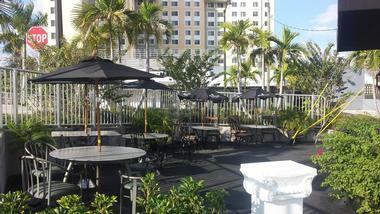 Centrally located in Miami's East Side, Ni.Do. Caffé & Mozzarella Bar offers excellent authentic Italian cuisine in a casual setting with mismatched tables and chairs and outdoor seating. 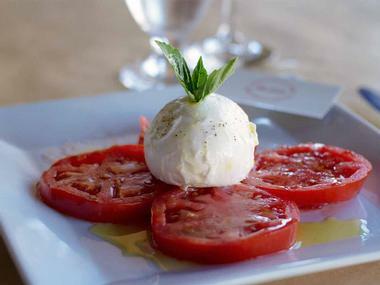 Renowned for being the first bar serving homemade fresh mozzarella in Miami, Ni.Do. Caffé serves brunch, lunch, and dinner as well as drinks and cocktails and catering services. This no-frills café celebrates all that is Italian with a menu of authentic dishes such as a selection of freshly made cow and buffalo mozzarella, platters of antipasti, crisp salads, wood-fired pizza, house-made pasta, and succulently grilled fish and meats. The café also has a small market that sells imported salamis, meats and cheeses, fresh and dried pasta, and organic and biodynamic wines. Perricone's Marketplace & Café has been hailed as South Florida's best Italian restaurant for nearly 20 years and continues to do so today. Nestled in the heart of downtown Miami, this quaint Italian restaurant and gourmet market offers loyal patrons and visitors alike a unique dining and shopping experience with a menu of traditional Italian cuisine. 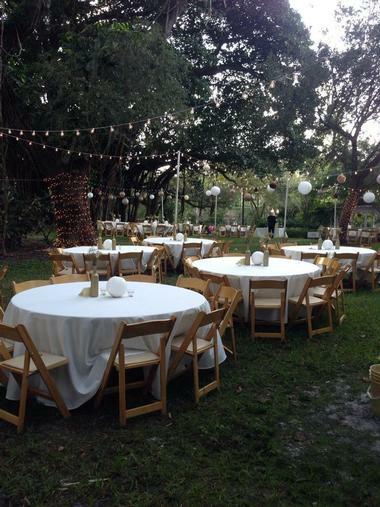 Located near Brickell Avenue in Mary Brickell Village, Perricone's is a great alternative to the hustle, bustle, and high prices of nearby South Beach, with a lush, tropical resort-style setting that can also be hired for private events. The gourmet market is stocked with indulgent coffees and teas, cheese and charcuterie, fine wines, and decadent desserts. Salumeria 104 is a Midtown ham-hawkery that is based on the Italian concept of a trattoria and small neighborhood shop that sells Italian specialty cured meats and other delicacies. Commonly known as a salumi shop, Salumeria 104 also serves a menu of traditional Italian fare that lets the essence of delicious seasonal ingredients develop, including eight different types of Italian-imported charcuterie, fresh homemade bread and pasta, and fresh seafood and fish. Platters of antipasti are filled with grilled octopus, eggplant, sun-ripened tomatoes, and fried capers, while the primi pasta range from gnocchi alla Romana to ravioli San Danielle. Lamb neck, branzino, rabbit, and veal are just some of the hearty entrees on offer and desserts such as tiramisu and panna cotta end the meal on a sweet note. Living up to the high standards of the five-star Fontainebleau Hotel on which it is based, the AAA Four Diamond award-winning Scarpetta is one of the city's best Italian restaurants. The creation of James Beard Award recipient Chef Scott Conant, Scarpetta (whose name is also slang for the small bit of bread one uses to sop up sauces) features high-end Italian cuisine with twist - think duck and foie gras ravioli in a marsala reduction and raw yellowtail with ginger-infused olive oil. The menu features excellent seafood dishes such as squid ink taglioni, tuna with ossetra caviar, and crisp-coated seafood-vegetable-lemon frito misto, as well as the regular favorites like spaghetti with tomato and basil, creamy polenta, and farro risotto. The outstanding cuisine is paired with carefully curated wines from the extensive cellar, which is home to more than 150 labels. Established by restaurateurs Mauro Bortignon, Stefano Cavinato, and Tommaso Morelato, Toscana Divino is an authentic Italian restaurant in Miami offering traditional and modern Tuscan dishes in the heart of the Mary Bricknell Village. Inspired by Italy's rich culinary history and penchant for locally sourced and sun-ripened ingredients, Italian Chef Andrea Marchesini creates dishes that reflect these principles and bring a taste of Italy to diner's plates in Miami. Appetizers range from bruschetta and ribollita (a thick Tuscan vegetable bread stew) to thinly sliced beef carpaccio and Octopus puttanesca. Signature entrees include pappardelle finocchio, homemade squid ink macaroni with shrimp, squid, and octopus, and the Florentine - a succulent porterhouse steak served with smoked potato purée, kale, and cannellini beans. A carefully curated wine list is served with the cuisine in an elegant setting. 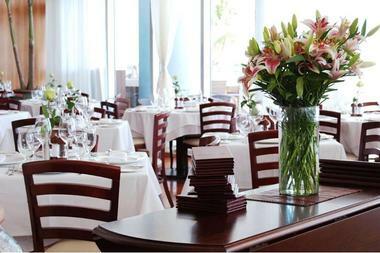 Based in downtown Miami, VERO Italian offers both light and formal lunch and dinner options in a casual, relaxed setting. Boasting rustic, Tuscan-style interiors in warm, earthy hues and simple décor, the eatery offers a diverse menu of traditional Italian fare such as hand-tossed pizzas and homemade pasta, fresh salads, hearty fish, meat and chicken dishes, and authentic Italian desserts. Favorites include the lobster ravioli, vegetarian gnocchi, and Sicilian swordfish pasta, while grilled salmon, Cornish hen, and ribeye steak are also popular choices. Sweet selections to end the meal include tiramisu, panna cotta, and homemade Italian gelato, and diners can enjoy either indoor or outdoor dining. Boasting breathtaking views of Biscayne Bay, Antica Mare Ristorante offers quintessential Tuscan fare in an elegant setting. Open nightly for dinner, the warm and welcoming restaurant features an exhibition kitchen where diners can watch the chefs prepare the signature dishes of the day, which include Tuscan specialties such as spaghetti alla pomarola Toscana, Chef Ciccio's pollo arrosto alla Toscana, and oven-roasted Tuscan chicken breast with truffle sauce. 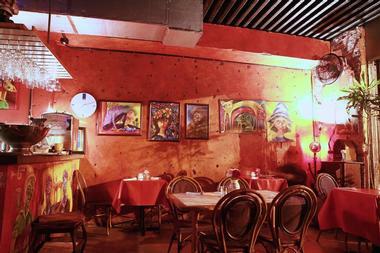 The menu also features an array of homemade pasta and bread, hearty meat and fish dishes, and delicious appetizers. The cozy bar and lounge is the perfect place to enjoy an after-dinner digestif. Baccano is an intimate locally owned Italian café and wine bar located in the heart of Miami's booming Wynwood Art District. Formally known as Café Santa Miami, Baccano offers authentic wood-fired Neapolitan-style pizza, mouthwatering desserts, a unique selection of Italian wines and an assortment of local craft beer. Signature pizzas include Sausage and Friarielli (mozzarella cheese, sausage, broccoli), The Santa (bacon and egg), Sicily (smoked buffalo mozzarella and eggplant), and Vesuvius (mozzarella, ricotta, sauce, ham and eggplant). 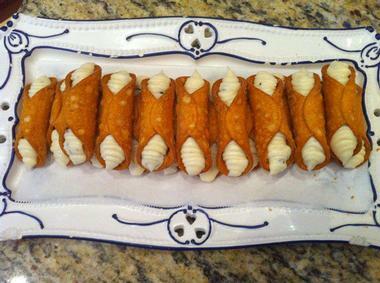 Desserts include homemade tiramisu, Sicilian cannolo, lemon sorbet, Nutella focaccia, and panna cotta. 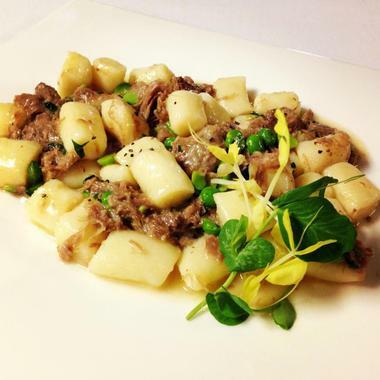 Established in 1998 by two friends, Basilico Ristorante has been serving delicious Northern Italian fare ever since. Meaning basil in Italian, the restaurant was named after the first job owner Carlos had to do in the new eatery. 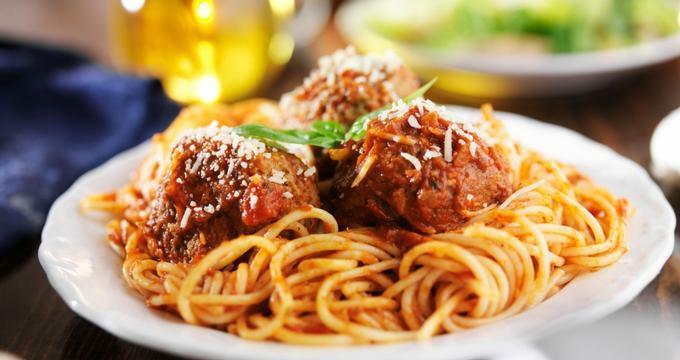 Basilico serves a simple menu of traditional and authentic Italian cuisine, ranging from freshly prepared salads and appetizers to hearty meat and fish entrees, hand-tossed, wood-fired pizzas with a variety of toppings, and decadent desserts. Don't miss trying the award-winning signature dish of linguini frutti di mare, which will leave even the hardiest of food critics satiated. The food is paired with a selection of over 60 wine labels from around the world as well as craft beers and spirits. 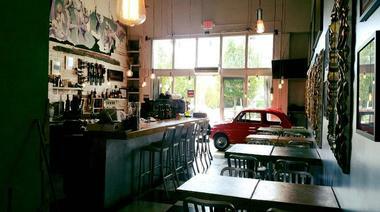 Macaluso's is an Italian-American eatery that promises "real food in an atmosphere that touches all five senses." Drawing inspiration from his childhood in the suburbs of New York, Chef Michael D'Andrea serves Italian-American fare that is freshly prepared daily with the very best ingredients like D.O.P. San Marzanos tomatoes and De Cecco dried pasta. San Daniele prosciutto, Locatelli Pecorino Romano, and top quality olive oil are added to the mix to create traditional dishes such as ricotta-stuffed ravioli with fresh peas, chicken, and mushrooms, and homely rigatoni with broccoli rabe. The cozy 30-something-seat dining room is dressed in crisp white table linens and gauzy white curtains with soft overhead lighting, creating a charming and relaxing ambiance. Mama Jennie's Italian Restaurant & Pizzeria is a long-standing institution that has been serving traditional Italian fare in a relaxed ambiance for more than 40 years. 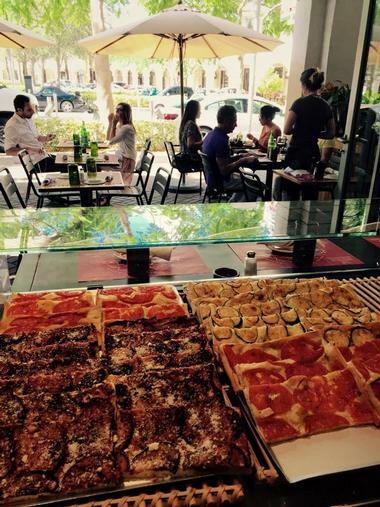 Located in Miami Shores, Mama Jennies serves delicious house-made, wood-fired pizzas with an array of toppings prepared with quality ingredients, as well as other traditional Italian dishes. Mama Jennie's also features a vibrant sports bar with a full liquor bar, large-screen televisions that show sports games and news, and a menu of delicious American bar foods such as burgers, chicken wings, and quesadillas. 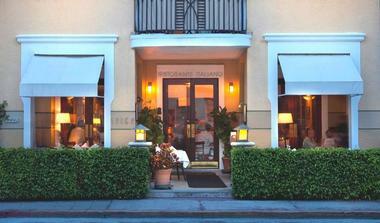 Sapore di Mare is an Italian seafood restaurant located in Coconut Grove, Miami. 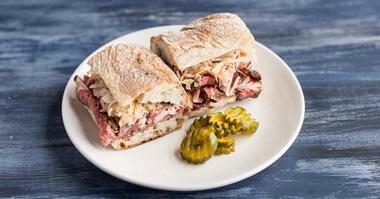 Established by Giorgia Calabrese and Matteo Paderni of Gusto in Miami Beach and Ni.Do. in Miami fame, Sapore di Mare celebrates the bounty of the ocean with a menu of fresh seafood and seasonal fish and shellfish dishes. Executive Chef Valter Mancini creates crudo plates of clams, oysters, and antipasti as well as composed whole fish preparations, fish dishes, and house-made pasta plates. There is also a selection of meat dishes on offer and a significant selection of wines that pair perfectly with the ocean-fresh cuisine, with over 100 vintages that complement seafood. Blending outstanding cuisine and an award-winning wine program with seamless service and stunning views make dining at Sapore di Mare an unforgettable experience. Established by Chef Roberto Legrand in 1995, Spiga Ristorante Italiano is an elegant restaurant with a romantic front garden that serves Northern Italian cuisine in a tranquil setting. Reminiscent of an old Italian villa, the restaurant boasts an intimate and charming atmosphere and serves a menu of exceptional Italian fare. Renowned for serving some of the best pasta in town, Spiga hand-makes and prepares pasta daily, and signature dishes include pappardelle with a lamb ragout, tortelloni stuffed with ricotta, pears, and taleggio, spaghetti with seafood mixed seafood, and quadretti with portobello & oil truffle pasta. Other dishes on the menu include veal scaloppini with porcini mushrooms, saltimbocca alla romana with vino blanco, and sliced NY steak. 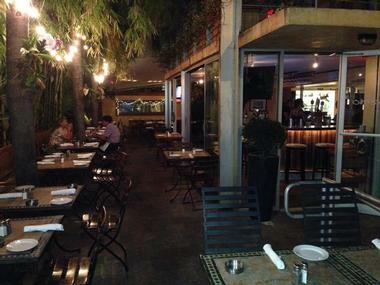 Sylvano's is an Italian restaurant and sports bar on Liberty Ave in Miami Beach. 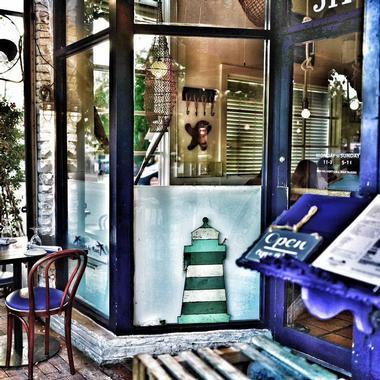 Owned by Sylvano Carrara, who moved Miami in 1993 and operated two other locations, Sylvano's offers a menu of classic Italian fare, including wood-fired pizzas, handmade pasta, freshly prepared salads, ocean-fresh seafood, and grass-fed meats and chicken. The vibrant sports bar has strategically placed large screen televisions that show the latest sports games and news, and the walls are adorned with photographs and pictures of spotlight athletes of the past and present. 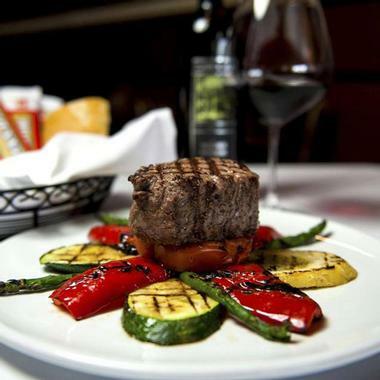 In addition to the classic Italian-American bar fare, Sylvano's serves an extensive list of wines, craft beers, spirits and handcrafted cocktails and diners can enjoy their meals in the outdoor garden.